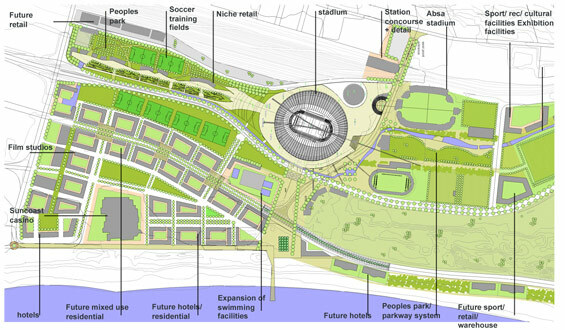 GENERATIVE: The stadium must be within a framework that enables broader city and precinct level benefits and serves as a catalyst for ongoing investment. SYMBOLISM: Establish a new symbol for the city and region, within a broader precinct and which extends the uses and functions provided for. 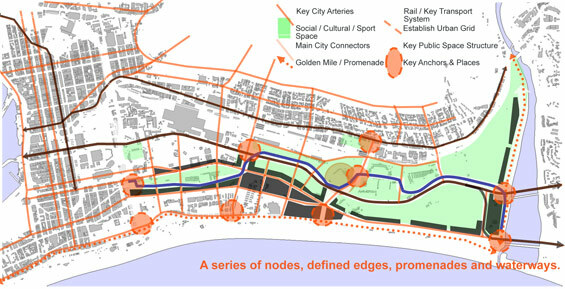 ICONIC: Through innovative design, the ability for a building to become a landmark and form part of the memorability of the city is a key objective for design. 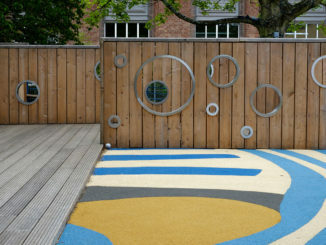 A minimal palette of surfaces was applied in the project to ensure its longevity, simplicity and continuation through the broader precinct. The water feature in Imbizo Place as a series of three linear pools adds animation to the space and attracts activity to its edges: including in future Alfresco dining. 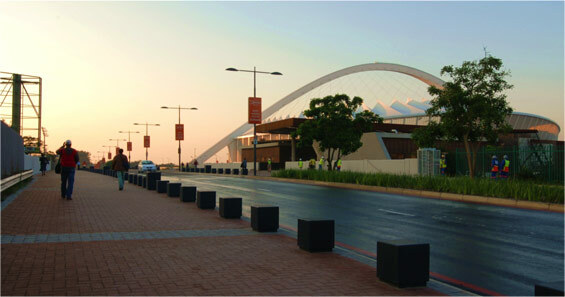 Moses Mabhida Square as a place of gathering at the southern city entrance. 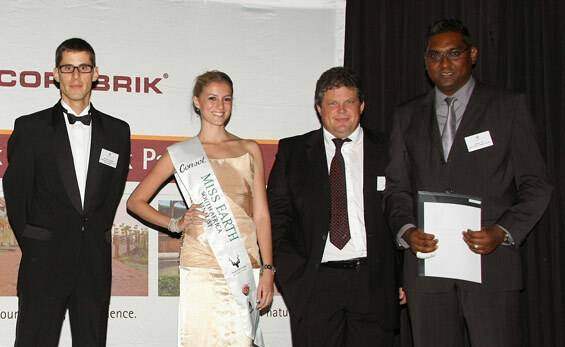 On 21 May 2011 Corobrik and the Institute for Landscape Architecture in South Africa (ILASA) celebrated 34 projects entered into the Awards of Excellence. 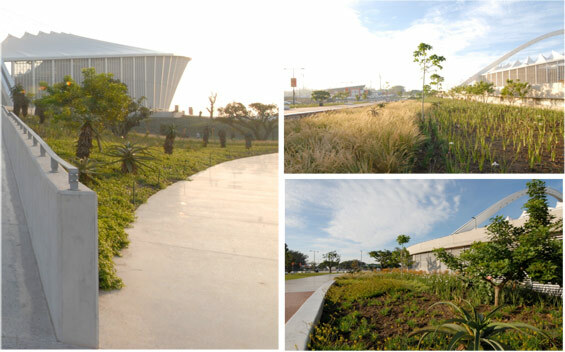 For setting a precedent in restrained design that complements a world-class sporting icon, the Moses Mabhida Stadium Precinct received an Award of Excellence and the Presidential Award.